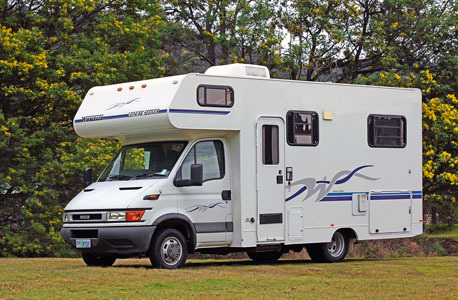 Types of 2wd campervan rental Darwin - What will suit best? If you’ve decided that 2wd campervan rental, Darwin is best going to best fit your time and budget constraints, then you should at least get to know some of the types of campervans that are available to rent in Darwin. 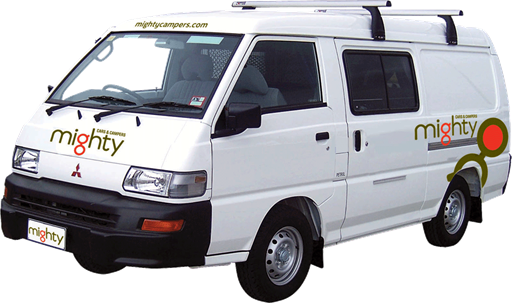 The range is pretty large as there are at least 16 different companies that do 2wd campervan rental in Darwin. Within this range of campervan rental companies you will find someone who can supply a vehicle for pretty much any budget. The cheaper end of the market is considered the “youth” market. The campervan rental companies that operate at this end tend to spend less money on the vehicles so they can keep costs down and pass the savings on to end-user. 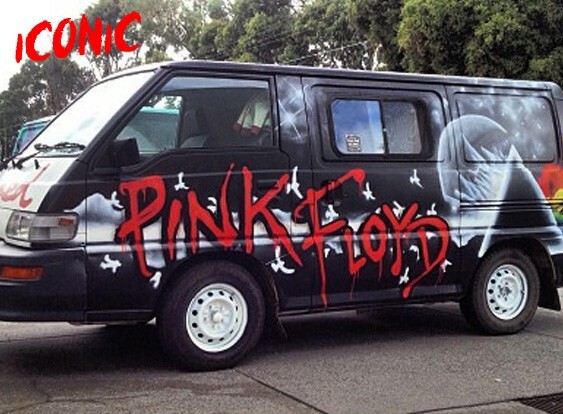 The most famous operator in this segment is Wicked Campers. Now operating the world over, the Wicked business model has been copied by others and there are now a number of companies operating in this space. The other main type of segment caters for the moderate budget where people require more creature comforts and cleanliness than the budget end tends to provide. The youth oriented campervan rental companies will supply all the basics you need in a campervan but not much more. Most the time they use cheaper base model vans (Mitsubishi) and have things like an esky (chilli bin, cooler box) rather than a fridge and portable water containers rather than one installed under the vehicle . In most cases the kitchen section is at the rear and you have to open the rear door to cook, access the esky and do the washing up. Or you take the cooking gear elsewhere like a park table. This market segment has the greatest reputation for breaking down and having general mechanical problems, however tends to have less complaints about the interior of the vehicle. My thoughts on this is just that the users have lower expectations on what to expect inside the vehicle as they are paying bargain basement prices. Some companies in Darwin operating in this space are Wicked Campers, older model Travellers-Autobarn and older model Travel Wheels. By far the most competitive market-segment is the mid-priced, quality-vehicles in the 0-6 years old bracket. Nearly every company has at least one vehicle that fits this description. That being the case, it can have some great specials but it is also the most popular type of campervan rental segment meaning the most demand. There are at least 14 2wd campervan rental companies in Darwin that supply campervans like this. Here we are talking about hi-top campervans, normally manufactured using a Toyota Hiace containing an internal kitchen and sleeping 2,3 or 4 people. Despite the supply of this type of rental campervan, they will still tend to come in at above $80pd once all the extra insurances and other options are added on. There is no clear market leader that everyone is scrambling to use, but Britz is the company with the most amount of vehicles in this range. 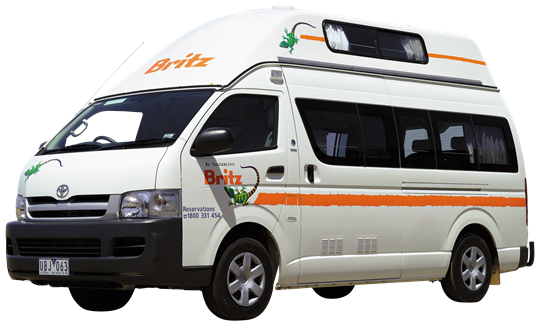 If you include the fact that the same company that owns Britz also owns Mighty Campers (used to be called Backpacker Campervans), then that company definitely has more campervans in this range than anyone else. A close second would be Apollo Campers (because they also own Cheapa Campa), then you move to the more medium-sized companies. One of the biggest differences you will find between the cheaper 2wd campervan rental, Darwin and the more expensive is the height of the roofs. The cheaper rentals will have a “low top”. This means that the roof height is the original height of the manufactured van. This will mean that you can’t stand up straight in the back of the camper. If you are getting older or have mobility problems this might be a problem. It is also a pain if you are hanging out in the back whilst it is pouring rain and you just want to stand up and stretch. Anyway, these models are cheaper because the campervan rental company has not had to change the body of the camper externally. Low top = cheaper. Hi-tops are generally more popular and as the name suggests, these rental campervans have a higher roof. The camper companies sheer off the original roof and put what looks like a fiberglass bathtub on top, upside down. This allows for extra storage above the driver, the option to sleep “upstairs” and hence sleep more people and also the chance to stand up straight inside the vehicle. Windows are normally installed in the upper section for extra viewing and the overall quality of living in the hi-top is better than the low top. Interiors of the vehicles will then depend on the manufacturer but most will come with and inside cooking area so you don’t have to be outside getting sun burnt or rained on whilst you are cooking, unlike the low tops where you will be cooking outside with the rear door open. There are less companies operating in this space and there are not many of them in Darwin. However, if this the type of campervan rental Darwin that you are after, don’t worry, they do exist. Both Maui and Around Australia Motorhomes have depots in Darwin and they can supply both luxury campervans and luxury motorhomes. Campervans tend to look more “van” shaped are generally built on vehicle models that can also be used as delivery vehicles. Motorhomes tend to be more custom-made from the ground up with internal living in mind and as such tend to be a little bigger. Whilst some luxury campervans have toilets and showers installed, they tend to live in the world of the motorhome. If you are in need of these amenities, you will have better luck doing a google search for Motorhome rather than campervan. That being said it is nearly all semantics. “Luxury” is the operative word here. These vehicles have lots of space, kitchens, often sleep 6, have showers and also internal toilets. One thing to be said about the internal toilet is that it has to be EMPTIED. If you are squirmish, then this might still be a problem for you. Whilst the best efforts are made with modern technology to keep this task as painless as possible, it is still sewage removal in the end. Luxury motorhome travel is for those who really don’t care about budget, but value comfort. Overall there is 2wd campervan rental Darwin for any budget, you can even just rent a station wagon if you are looking to pitch a tent. However,it is still best to do some thorough research on the vehicle that is offered to you in a quote as every campervan rental company includes different things, charges different prices for extras and has probably modified their vehicle in such as way to make it just that tiny bit different from the others.